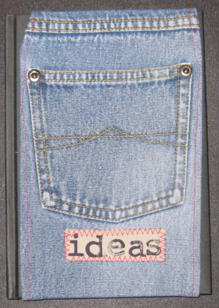 A6 sized denim covered book with plain cartridge paper pages. Usable pocket on cover suitable for pencils, erasers and sharpeners or other stuff such as keys or phone. Each book is unique and items ordered from the website will be constructed from materials available at the time. 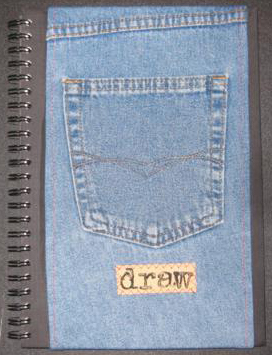 A5 sized denim covered book with plain cartridge paper pages. 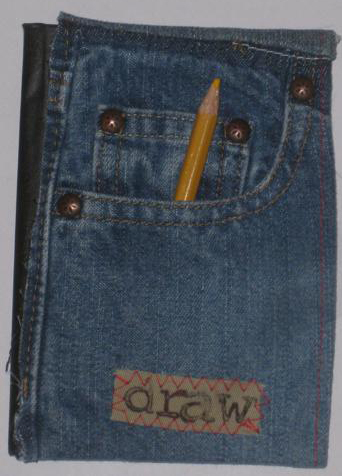 Usable pocket on cover suitable for pencils, erasers and sharpeners or other stuff such as keys or phone. Each book is unique and items ordered from the website will be constructed from materials available at the time.